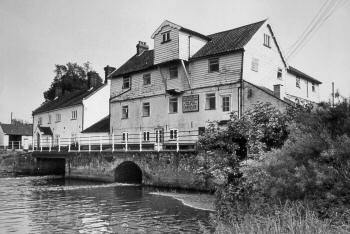 Elsing watermill was a paper mill between 1809 - 1818 and possibly longer. 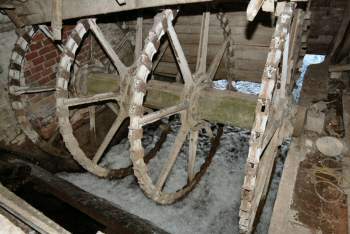 It was probably rebuilt in 1854 and then milled corn and crushed seed from that time using a 15 foot diameter wheel. 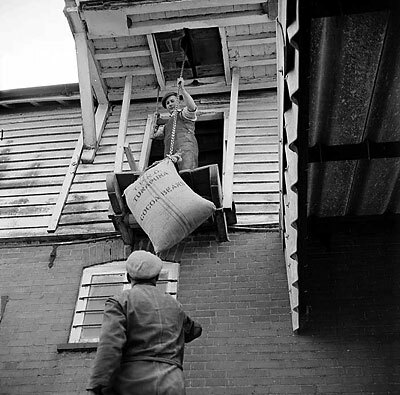 It later turned to animal feed before ceasing work in 1970. 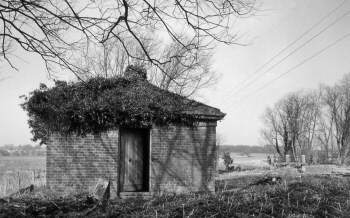 The ground floor of the final structure was of rendered brick, with first floor of weatherboard and a Norfolk pantiled roof. 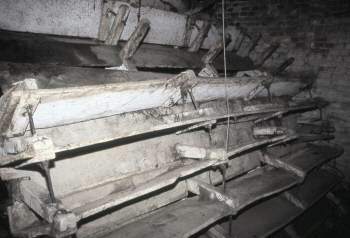 The lucum was let into the attic section. 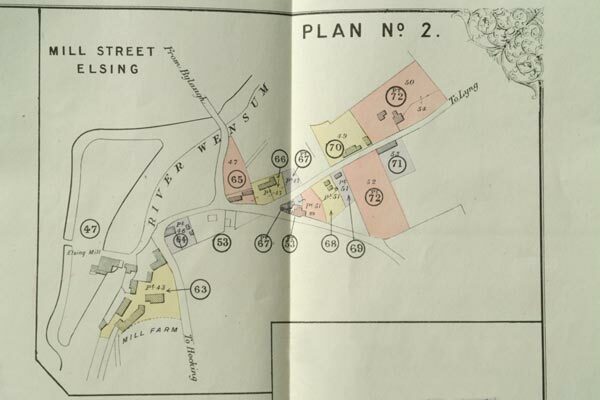 In 1809 it was reported that three newly erected paper mills at Elsing were set to work on an entirely new principle. 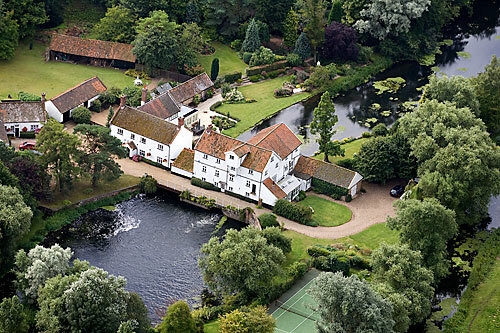 The following desirable Property belonging to the Assignees of Mr. William Tuck, a Bankrupt. 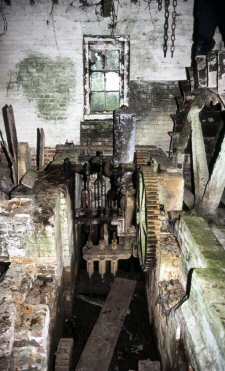 This Mill has been erected in the most substantial manner within a few years, is in a complete state of repair and is distant from Fakenham four miles. 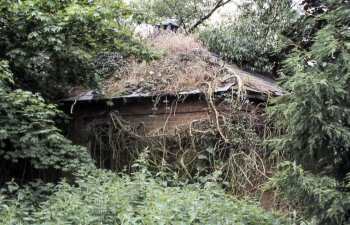 This Lot is Freehold and the residue Copyhold of Whissonsett, fine certain. Apply to Bignold, Pulley & Mawe, or Messrs. Sewell, Blake, Keith & Blake, Solrs. 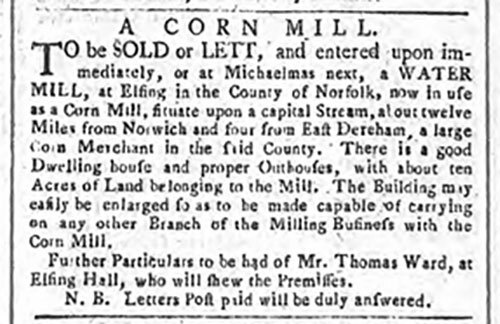 or to Mr. William Butcher, Auctioneer & Surveyor, all of Norwich. 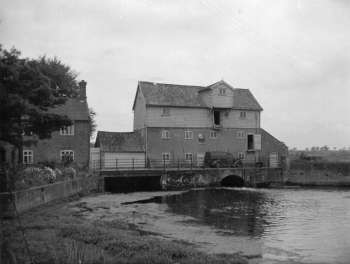 Elsing mill came into the Sayer family as part of the Bylaugh Estate. 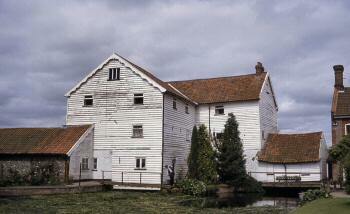 While Robert Sayer was in charge the mill was making £500 per year. 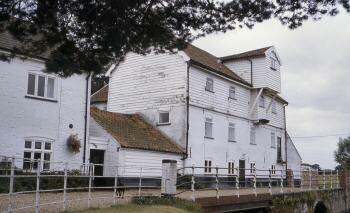 This healthy profit margin persuaded Robert's father James to take on and rebuild Lenwade mill in 1890. 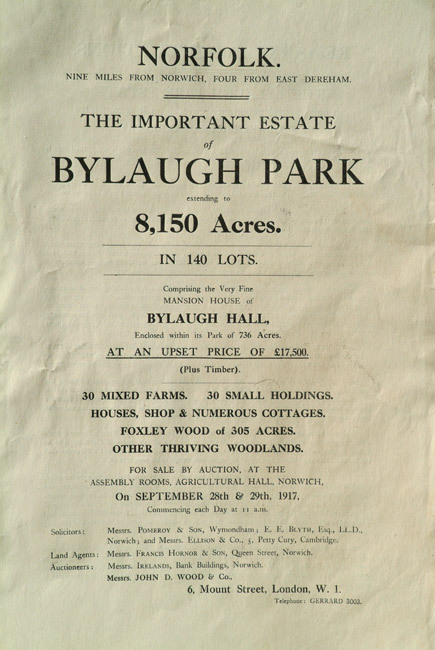 On 28th and 29th September 1917, the Bylaugh Estate was sold by auction at the Assembly Rooms, Agricultural Hall, Norwich by John D. Woods & Co of London and Irelands of Norwich. Ronald (Roly) Reginald Kemp was born in the second quarter of 1908. He married Eva Dixon in the second quarter of 1939 and died in September 1969 aged 61. 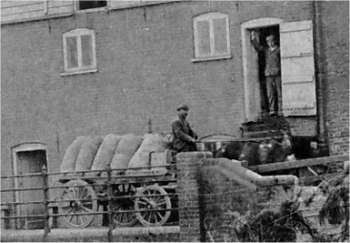 The cocoa beans shown in the above photo were used to supplement cattle feed. 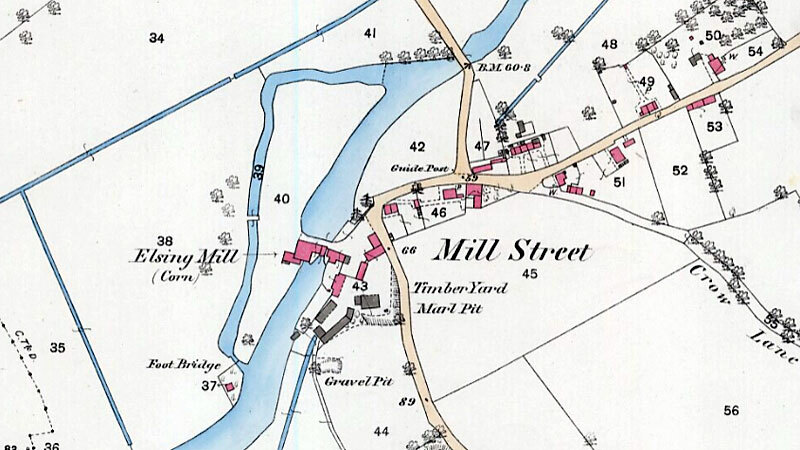 Samuel Luck, brother of William Luck, from Luck's_Mill is shown as being journeyman miller in the 1841 census and again in 1851. Samuel was born on 14th January 1790 at Weybread. 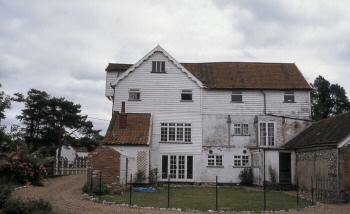 He married Elizabeth Scales on 5th January 1813, at Syleham, Suffolk. Elizabeth was born c.1783 Brockdish, Norfolk and died 1st March 1857 in Lyng, where Samuel also later died on 26th November 1859. 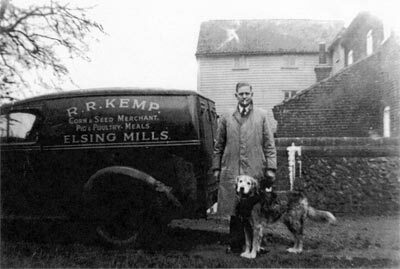 Frederick William Kemp was born in 1841 and was master miller at Elsing watermill when he married in 1868. 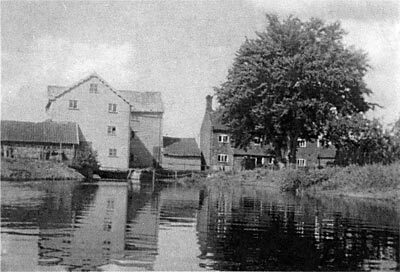 He ran Witton_(Blofield_postmill from 1879 - 1879, then Croxton_postmill and towermill from 1883 - 1890 and was at Strumpshaw smockmill in 1896. 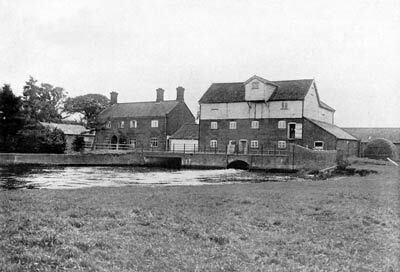 Ernest Hilton was tenant for 9 years from around 1915 - 1924 before returning to Swanton_Morley_postmill, where he had been brought up.. 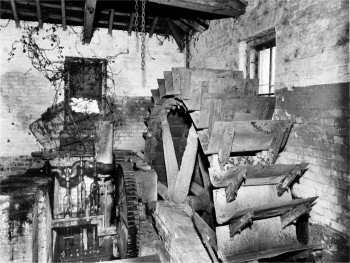 In 1972 the mill remained empty, complete with its iron wheel. 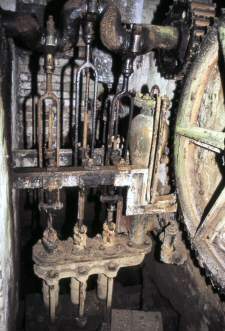 The wheel was still in situ in 2003 although the water authority had ensured that the majority of the paddles had been removed in order not to impede water flow. 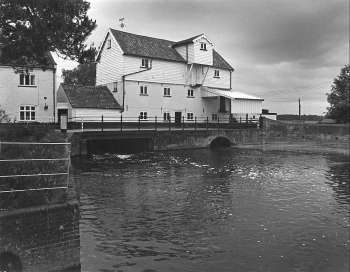 Although begining to look derelict in 1988 the pumphouse has since been reroofed. 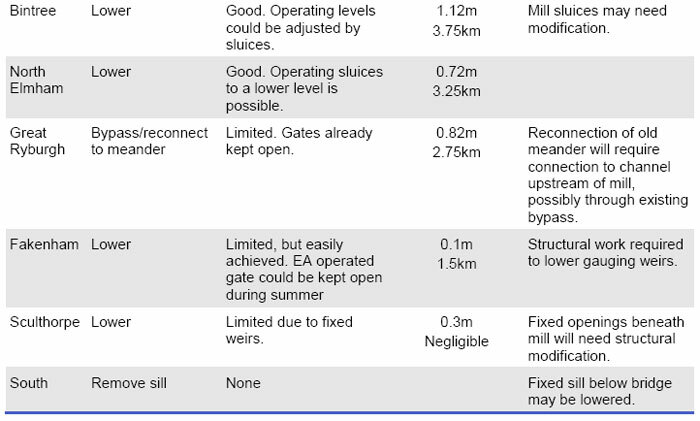 5.28 The Environment Agency does not own all of the mills or water rights at control structures along the River Wensum SSSI (Table 6). 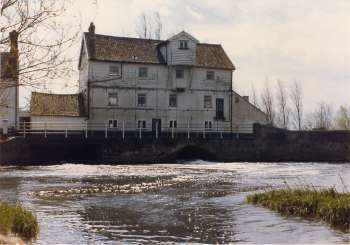 Where private mill rights exist, the Environment Agency has limited powers to control their operational regime and retention levels. 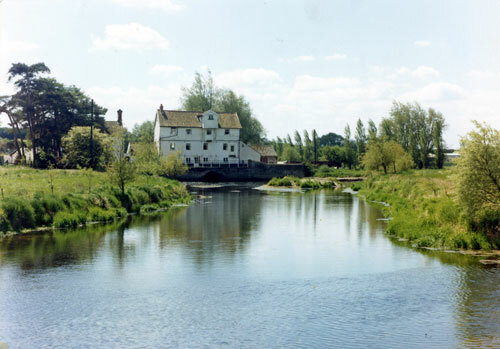 However, during initial contact with stakeholders, some mill owners were supportive of the concept of river restoration and were prepared to consider options for altering the future water management regime on impounded river reaches. 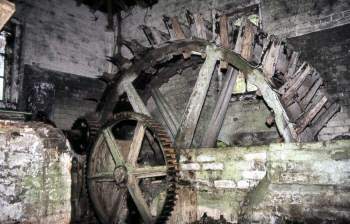 5.29 None of the mills are now used for their original purpose and only at Lenwade, Bintry and Elsing have the undershot water wheels been retained. 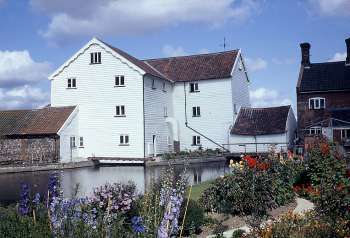 Whilst owners can vary the retained water levels within the old milling limits, the general practice is to hold the water at a relatively high level. 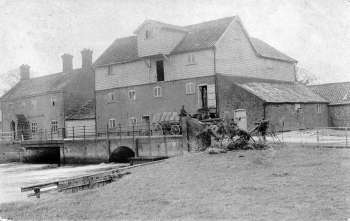 This is largely for aesthetic reasons (in order to maintain an expanse of water upstream of the mills) but also due to increasing levels of siltation of the mill pools. 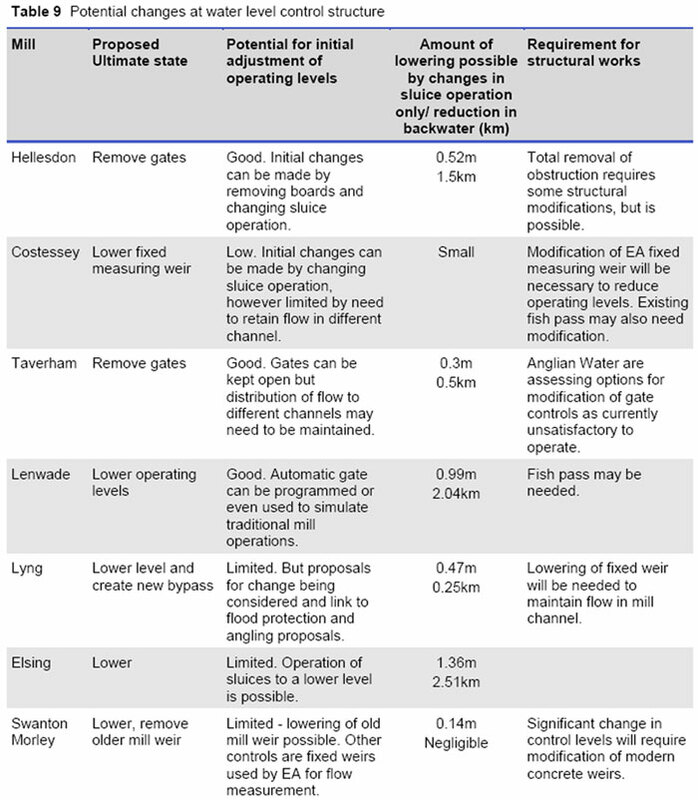 plans on the River Wensum, a potential constraint relates to the willingness of mill owners/operators to accept/implement changes in water levels, structures and channel works. 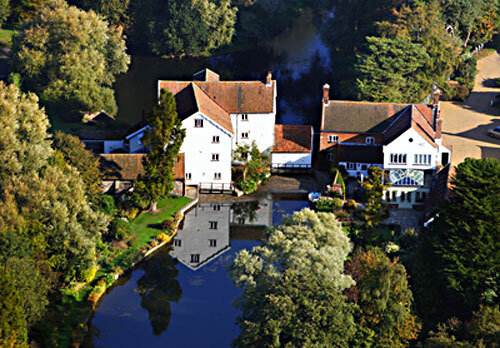 5.31 Conversely, mill owners may regard the development of the River Wensum Restoration Strategy as an opportunity for funding to modify structures that might be regarded as a liability in terms of maintenance, operation and health and safety. 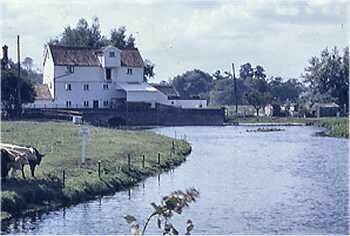 6.20 A former mill known as Gogg‟s Mill near to Fakenham was removed as part of the drainage improvement works of the 1950s. The channel upstream of the mill has narrowed significantly through the accretion of silt berms, and provides a good case study of the extent to which natural recovery can help restore natural river form and function. 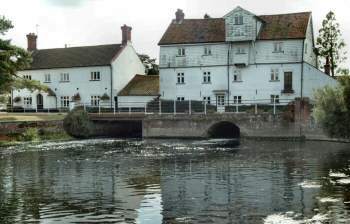 Concerns over the management of the River Wensum by the Environment Agency were voiced at a public discussion in a mid Norfolk village. 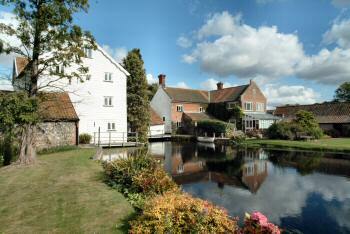 The discussion was part of an Elsing Parish Council meeting at Elsing Village Hall, near Dereham. About 50 villagers and parish councillors from the surrounding communities, including Worthing, Great Witchingham, Lyng, Swanton Morley and Sparham attended the debate. Representatives from the EA, Natural England, the Water Management Alliance and the Norfolk Rivers Internal Drainage Board also came to the meeting. 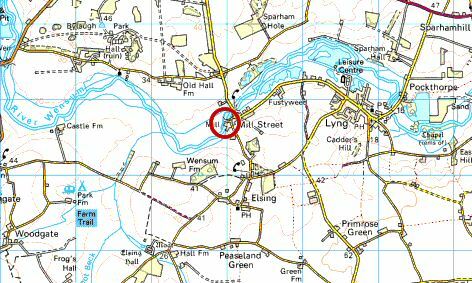 Peter Dilloway, Elsing Parish Council clerk, said the River Wensum, which is to the north of the village, used to be 30ft wide five years ago. 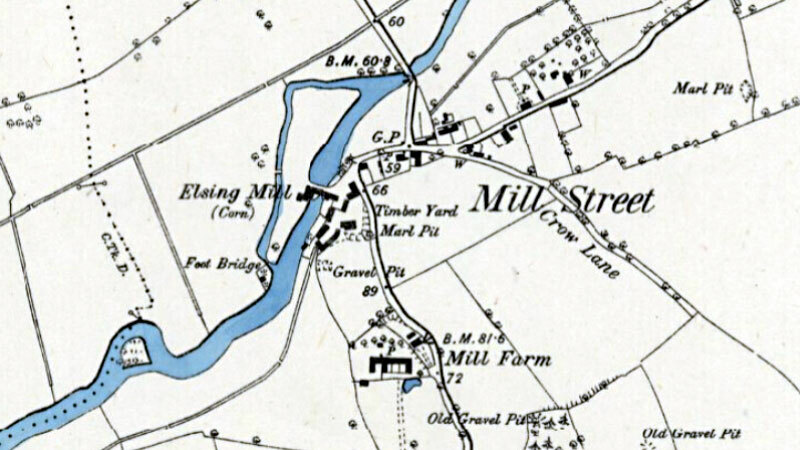 But he added that in places, including next to Elsing Mill, it was too narrow to turn a canoe around. 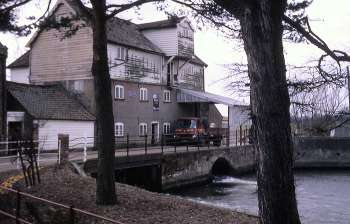 There is a build up of silt – which derives from soil or rock – reeds and bushes in this part of the River Wensum, according to Mr Dilloway. 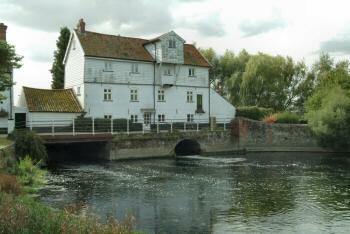 He added that the River Wensum was in a “sorry state”. Rob Dryden, who represented the EA at the meeting, said the main concerns were the restrictive flow of the river and the perceived lack of maintenance. 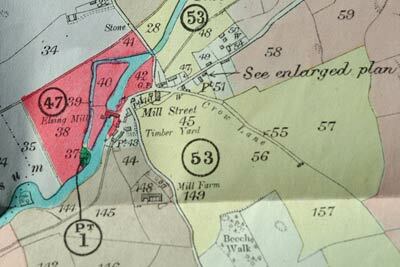 He added that the EA was using a targeted approach to restore the river to its original meandering form.